In the current age, people are dealing with a hectic schedule throughout the day and the body, as well as the mind, are getting tired. However, without the appropriate form of energy and fresh moods, no one is able to deliver his or her full contribution to work or to the social life. 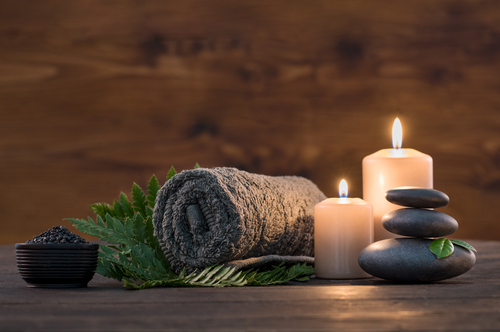 To rejuvenate the inner soul of the individual and to energize the body, regular exercises, yoga therapies and body massage are very important. Different forms of massages are found throughout the world. Among them, the Thai massage is well known and is an effective form of rejuvenating the body and the mind of any individual. Massage Thailand originated over 1000 years ago in Thailand. It is a message that is best performed on the floor and involves a lot of stretching as well as deep kneading and rubbing. It has really gained popularity all over the world and this is because of its many benefits. It is performed so that it can increase one's energy levels while improving on relaxation and the therapist performing it does it using the hands, legs, and feet. This massage does not require oil as it uses the acupressure technique, muscle compression, and joint mobilization. It usually starts from the legs and feet, then moves to the hands and joints, and then to the face for it to be complete. What are the features of the traditional process? • Usually, the softly-spoken Thai women are involved in the providing the message. 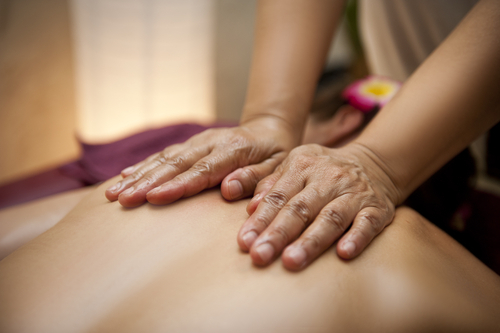 • The therapist or the masseur uses their hands and palm to give the healing sensation with slow and rapid movements. • The therapies include the pulling of the toes, ears, fingers, cracking knuckles, moving the recipient's body in different positions. • Sometimes, walking on the back of the receiver is also involved in the process. • In some cases, oils (usually warm) are used for the massage or the aromatic items are used to give the recipient a relaxing environment. • The process of holding the arms, bending your knees, climbing on your body or supporting your body with the masseur's leg or back is involved. The massage Thailand technique has gained a huge following because of the many gains that are associated with it. There has been a lot of medical research that has been done on it and it all shows that there are many advantages that come with the message. One of these advantages is the ability to loosen the joints and muscles; the muscular pains and spasms are eliminated through stretching. This later helps with increased energy as well as the feeling of relaxation and it also calms the nervous system. It is also very effective in the improvement of blood circulation and lymph drainage which helps in reducing the levels of stress. The massage Thailand is so effective and that is why it has gained a lot of popularity over the years. Its ability to calm the nerves and balance them further improves blood circulation, relieves pain and alleviates stress - three qualities which are very important in the functionality of the human body. For the message to be completely effective on the human body it should be done consistently. It is however not recommended for people who have any type of skin ailment and it is good to stay away from any heavy metal days before getting the message. This type of massage requires a lot of skills for someone to become a certified Thai massage therapist. The massage Thailand course takes several years to master and it has to be taken seriously. Students are advised to start at the beginners level and take some time off to go and practice what they have learned before coming back to do it again and then proceed to the more advanced levels. It is only after taking the classes and having acquired the correct skills that you will be certified as a Thai massage therapist. This is a skill that has been passed down from generation to generation and it requires patience and great understanding to master it. • Total Relaxation - By relieving the blocked energy lines with rhythmic hand maneuvers and stretching, total relaxation of the body is achieved. This state will give the client a better state of well-being and outlook that advertently slows down aging. This is also found to relieve emotional stress and restore better sleeping patterns. • Flexibility - The stretch maneuvers will maximize the limb's range of motion and promote flexibility. During the yoga-like stretches, muscles and nerves may be stimulated to its maximum straining point and relieve stiffness. This form of release may increase the person's vital reflexes for better balance and work performance. Good joint flexibility retards attacks of arthritis in patients. Toning down - The repeatedly slow and gradual hand techniques will reduce the pacing of the bio-rhythm while relaxing. The muscles may tone down and promote better circulation within its relaxed quarters, bringing down the blood pressure to its relaxed state. Thai massage can help stabilize the blood pressure of hypertensive patients. • Better hemodynamics - The general relaxation of the muscles promotes better circulation and lymph flow. Better circulation delivers better energy boost to where it is needed. Thai massage has been found to be beneficial in Diabetes type 2 by helping to normalize sugar level. The continuous flow of lymph in the body promotes detoxification and better immunity. • Brain circulation - Thai pressure point releasing of the Sen Lines of the head will promote better circulation to the brain giving the client more clarity of thought and prevents a migraine and vascular headaches. Good brain circulation is said to prevent the formation of blood clots that may cause a stroke. • Better athletic performance - Better chest muscle positioning may promote better respiration during swimming and running events. The improved circulation may help rid the lactic acid that may accumulate in the muscles after the sporting event. 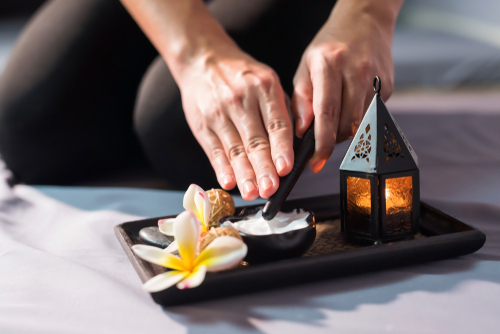 The Thai massage spas are very common and people love to enjoy each session. One who has experienced the therapy for a single session will love to experience the same very soon. Apart from providing relaxation from stress, the internal systems are relaxed and the energy flow within the body is enhanced. Massage of pregnancy is like a Swedish massage with several positional settings. It is used to relieve some of the discomfort associated with pregnancy, such as swelling in the legs, muscle and joint pain or decreased flexibility and circulation. The message is usually performed with the mother on her side, using special pillows to arrange her body for maximum comfort. Also known as prenatal massage, treatment helps with relaxation, reduces stress and relieves strained back and leg muscles to correct position and reduce back strain. The pregnancy mask helps the circulatory and lymphatic systems, which allows a healthy blood flow to the mother and child. 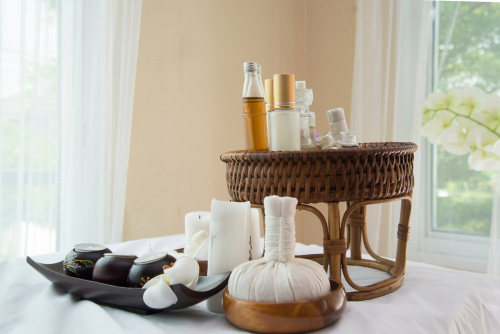 Aromatherapy massage uses highly concentrated vegetable oils, known as essential oils, which are added to massage oil or lotion. This method combines the natural therapeutic properties of essential oils and the healing power of massage therapy. It can be very effective in relaxing and healing the mind, body, and spirit and is often described as a very relaxing and rejuvenating experience. Oils are the most important part of the treatment chosen for their therapeutic effect, and not just the flavor, to "therapeutically" stimulate the nasal/olfactory senses. They are used as incense, oil diffusers or aromatic oils, applied directly to the body, depending on the need. Neuromuscular massage therapy is a deep form of tissue massage to reduce muscle pain by stimulating blood circulation in the nervous system. The theory of neuromuscular massage is that when muscle spasms are not in the whole muscle, but in the centralized area inside the muscle. When the blood flow to this area decreases, it can then be reflected in other areas of the muscle, causing pain. This treatment involves the use of static pressure focused on a specific area, called a trigger point, and does not include whole body massage. Applying pressure to the trigger point for a few seconds, lactic acid builds up at the point of launch. This relaxes the muscles, increasing the flow of blood and the available oxygen, which releases lactic acid and, consequently, the cause of pain through the nervous system. Pain in the muscles and soreness are neutralized by repeated concentrated pressure above the trigger points. Hot stone massage is a complete treatment of the body, which uses smooth flat water stones located on both sides of the spine (centers of the chakras). The goal is to relax the muscles and relieve tension very quickly. Differently weighed stones are used for different pressures. Stones are used as tools for effective tissue and muscle massage with light, medium or deep pressure levels in the treatment of muscle pain, back pain, stress and other common diseases. Benefits include restoring the natural balance of the body, relaxing deep muscles, improving blood circulation and feeling comfortable and warm. Sports massage was developed for athletes, but suitable for those who have chronic pain, trauma or problems with range. It focuses on the prevention and treatment of muscle and tendon injuries. Sports massage differs from therapeutic massage in that it is a deeper form of soft tissue massage using specific methods of treating physically active people. 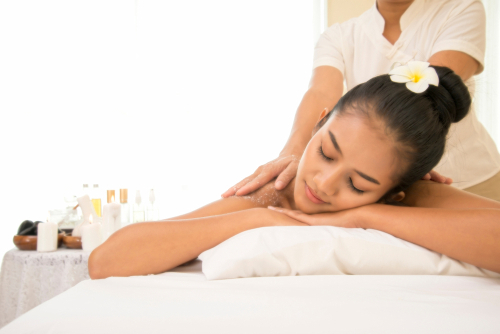 Various types of massage include Post-event - to bring the body tissues into a normal state. Restorative during training allows athletes to train harder and minimize the possibility of injury. Rehabilitation - aimed at relieving pain due to trauma. Sports massage is a good choice if you have a certain problem caused by sports. It stimulates the circulation of blood and lymphatic fluids, which ensures optimal metabolic metabolism, improves recovery after intensive training, improves efficiency and reduces the occurrence of muscle pain, and also reduces the likelihood of injury. This massage method is specifically designed for the hands and feet. First, the leg/hand is gently stoked and ground to warm the area before it is processed. Then the massage use will use the thumbs and fingers to examine the subject, including the area between the fingers and fingers, to find any anomalies. An area that needs special attention will be gently squeezed and rubbed until the masseuse moves on to the next area. After the arm or leg is completed, the masseuse will gently rub and stroke the hand or foot again to relieve tension. Although each category of massage is better suited for certain personal qualities, this is not necessarily true in each case. Sometimes you will find a therapist who is skilled, talented and/or experienced in both areas of massage and is able to provide excellent procedures. Sometimes you can meet psychotherapists, who are a little bit ordinary in the treatment that they perform but still try their best to give you what you need. Regardless of the reason why you receive massage, this is an excellent therapeutic way to relieve stress, tension, anxiety, headaches, neck pain, back pain and some other physical or mental problems. If you have not experienced a massage, then you had one time. Many people include massage in their own health regimen because it not only has a positive effect on the body but also on the mind and spirit.